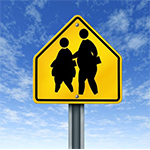 Michigan has the highest rate of obese seniors in the country, according to a new report. About 29.5 % of Michigan seniors have a body-mass index of 30.0 or more and are considered obese; a body-mass index of 18.5 -- 24.9 is considered normal. In Hawaii, the sixth healthiest state for seniors and the thinnest in the nation when it comes to senior obesity, just 16.9% of seniors are considered obese. Yet on average, fewer of Michigan's seniors report being completely sedentary, compared to the rest of the country. So if they're active, what gives? "It's about the caloric intake," said Dr. Richard Gajdowski, medical director for United Healthcare of Michigan in Southfield. The report released this week by the United Health Foundation drew on obesity rates and 33 other measures to rank the health of seniors among the states. Michigan finished 26th, a ranking buoyed by the better-than-average rates of physical activity and access to dental care. United Health Foundatino is a not-for-profit foundation affiliated with the Minnetonka, Minn.-based health care insurer UnitedHealthCare. Each year, the foundation releases a statistical glimpse of the nation's health; this year it focused on Americans 65 and older. -- About 9.9% of seniors, or about 130,000, smoke, placing the state 35th in that category. -- About 3.5 % of seniors are chronic drinkers, placing the state 24th in that category. -- in the past 30 days, placing the state 13th in that category. -- Michigan has one of the lowest rates of teeth extraction in the nation among seniors, placing the state 7th in that category. But most troubling for Gajdowski is that Michigan's seniors seem to have have eaten their way to being dead last in the country when it comes to a healthy weight. The key for improving health for today's and tomorrow's seniors will be setting realistic goals. Even individual, incremental changes -- in weight loss, for example -- can have life-changing benefits, Gajdowski said. "There is a value to marginal improvement. There's a value to maintaining weight rather than gaining weight or losing 10 pounds or 20 pounds. It's about doing the best you can where you're starting," he said.